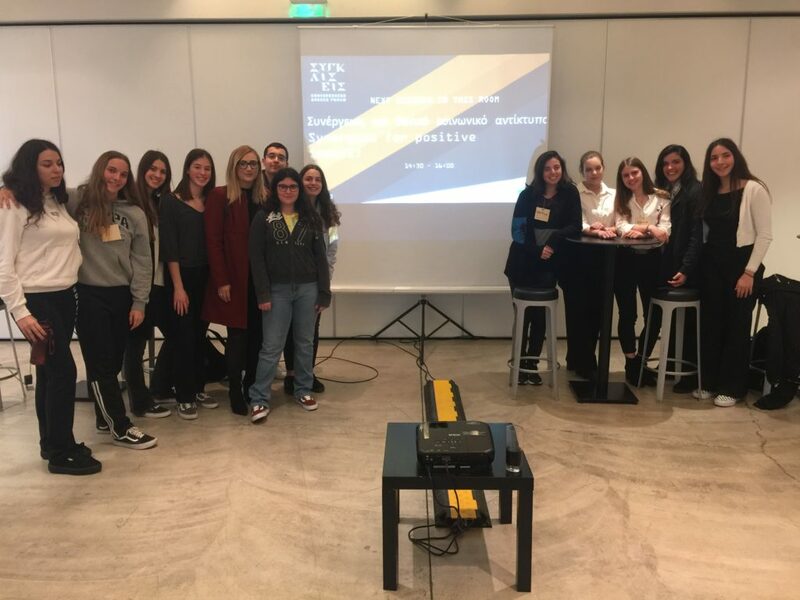 Pierce > Members of the Sustainable Development Club attend Convergences Greece Forum! Members of the Sustainable Development Club attend Convergences Greece Forum! 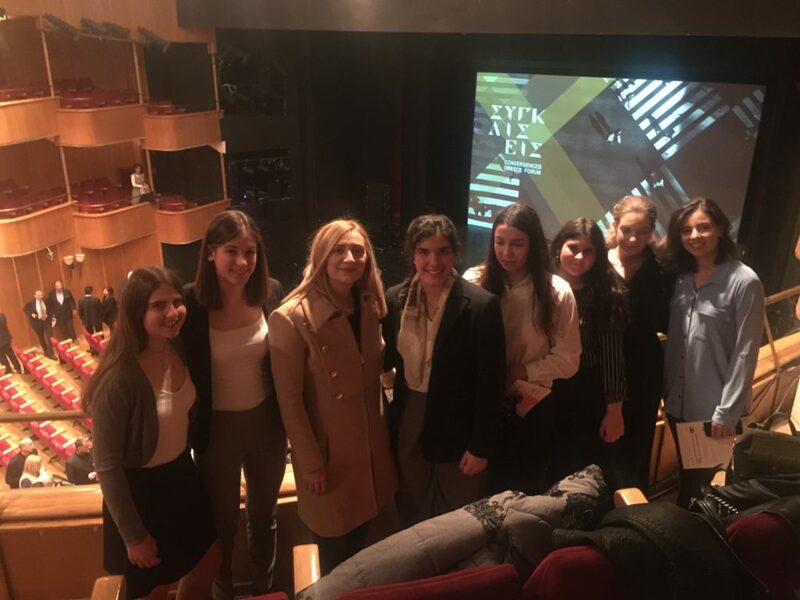 On Monday, April 1st, members of the Sustainable Development Club attended the Convergences Greece Forum at the Olympia Theater, the most interactive and original form, which attracts opposing groups of people for a good cause and which took place for the first time in Greece. The theme of the Convergences Greece Forum was viable cities and communities and its goal was to highlight best practices as well as to create fertile ground for “Convergences” and synergies. The Convergences Greece Forum was held under the auspices of His Excellency the President of the Republic, Mr. Prokopis Pavlopoulos, and was co-organized by the international Convergences Forum and the World Human Forum, whose founder is Ms. Alexandra Mitsotaki, in cooperation with the UN Sustainable Development Network Solutions Network Greece. 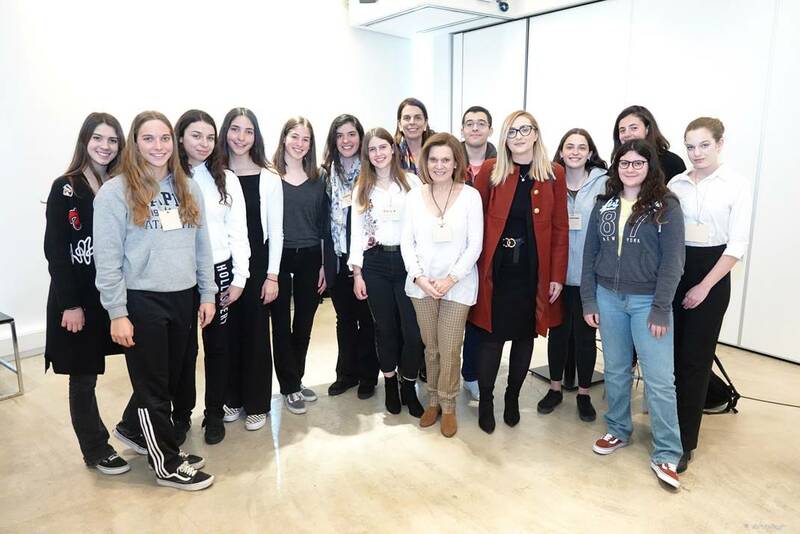 The members of the Club (Chrysoula Mitsakou, Marielia Farmakidi, Athena-Maria Dimitrakopoulou, Anastasia Peppe, Nefeli Stamou, Zoe Mitsakou, Laskarina Glynou, Theodora Kakante, Nikolas Giokas, Marina Prezani, Christina Zein and Anna Mattheopoulou) attended the Opening Ceremony with distinguished speakers, such as the Nobel Peace Prize Laureate (2006), Social Entrepreneur and Founder of the Grameen Bank, Mr. Muhammad Yunus and Mr. Hans Joachim Schellnhuber, Founder and Head of the Potsdam Institute for Climate Impact Research in Potsdam. In addition, our students took part in a panel discussion regarding climate change, green cities and social entrepreneurship. At one of the Forum workshops, they asked questions about convergences on the issue “Active citizenship and employability,” were interviewed and warmly applauded by the audience at the event. The students were accompanied by the Vice President of the College, Ms. Claudia Carydi, as the visit with arranged with the valuable contribution of the College’s Office of Public Affairs, and coordinated by Ms. Ourania Assariotaki, ACG Sustainability Manager, as part of the College’s broader collaboration with the World Human Forum for the Climate Change Symposium, to be held at the American College of Greece on April 3rd, under the auspices of the Bank of Greece.